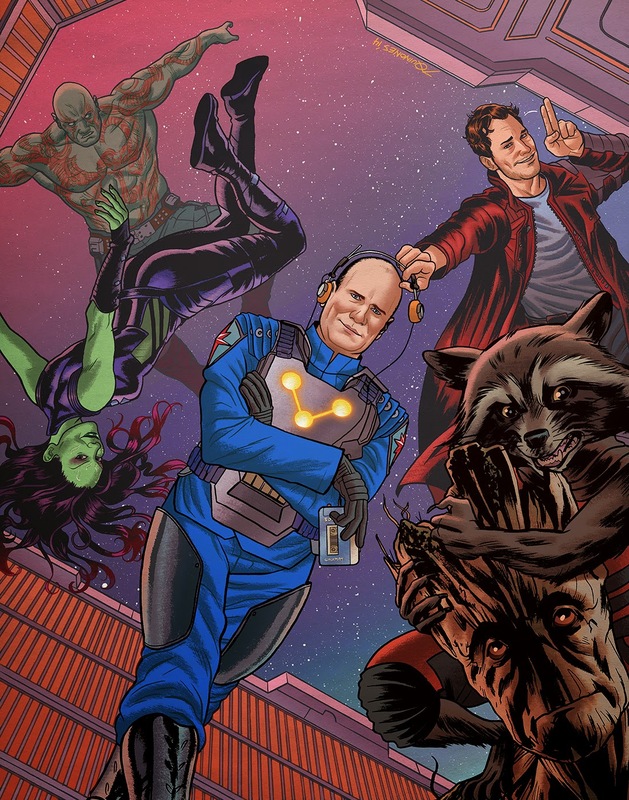 Joe Quinones' interweb-log: Guardians of the Galaxy (and Kevin)! Guardians of the Galaxy (and Kevin)! The Guardians of the Galaxy (and Kevin)! Above is a look at a illustration I recently did (and had been teasing here) for an article in Variety Magazine focusing on film producer Kevin Feige. Kevin has been one of the driving forces behind all of the Marvel movies, the most recent of which is the up and coming Guardians of the Galaxy film. 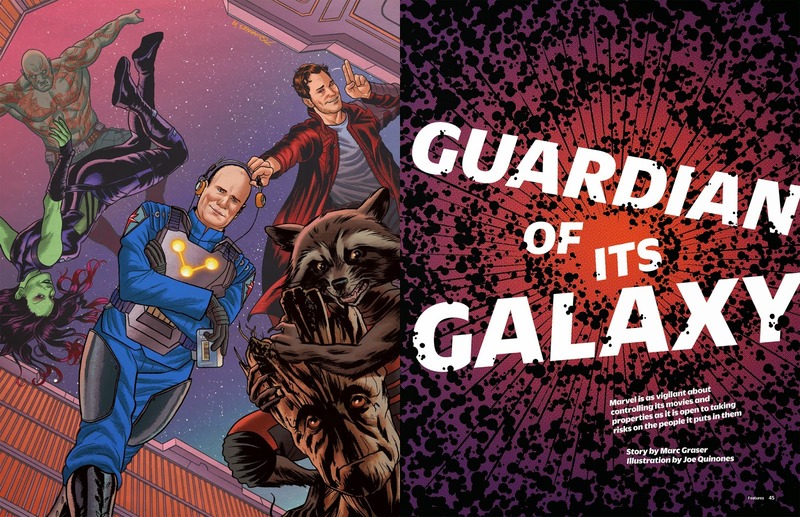 The article highlights Mr. Feige’s contributions to the Marvel Cinematic Universe, and Art Director Chuck Kerr asked me to produce an illustration of Kevin interacting with the Guardians in some sort of playful way. I decided to depict him and the Guardians crew from the interior of a starship, it’s gravity turned off as they all bounce about. Kevin is dressed as a member of the Nova Corps, sporting Star Lord’s coveted Walkman. Oh, and in case you were somehow unaware that this movie was coming out, you should probably watch this trailer. It’s awesome.